Make this a summer of change — with a mentor. We would love to have you join us for our summer session of the 4word Mentor Program! 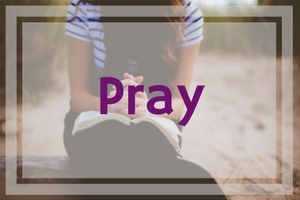 This 10-week program pairs each mentee with a hand-picked 4word mentor, a Christian woman who’s walked a path similar to yours and can help guide you down your own. 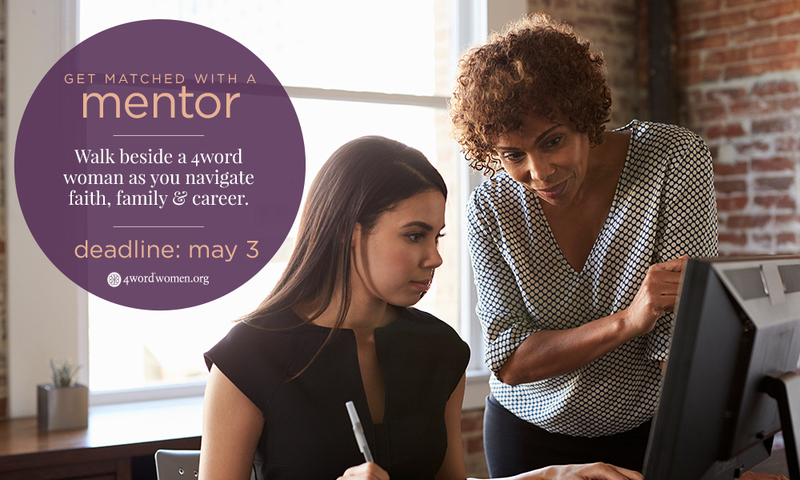 If you’ve been looking for some career guidance from a Christian perspective, sign up for the 4word Mentor Program by May 3! You matter. It’s simple. 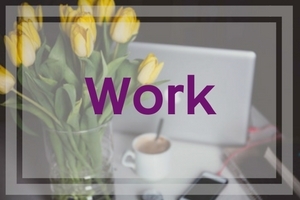 But sometimes working in an environment that’s filled with non-believers can be a challenge. 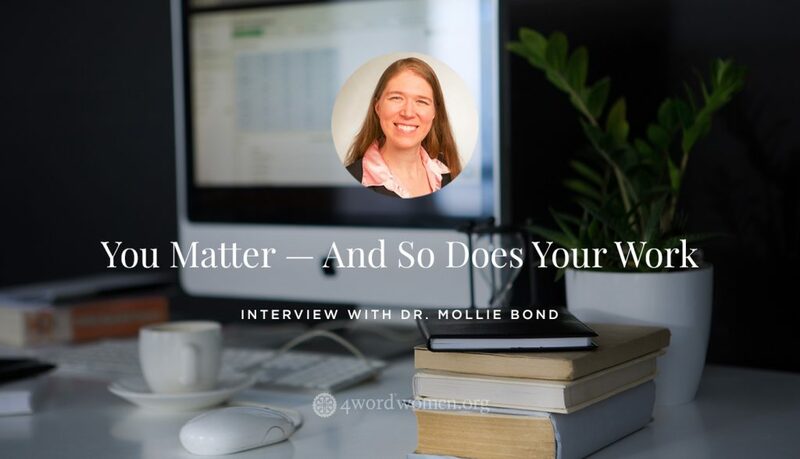 In our latest blog, Dr. Mollie Bond talks about how to overcome the challenge and realize that you matter! Who are you, really? 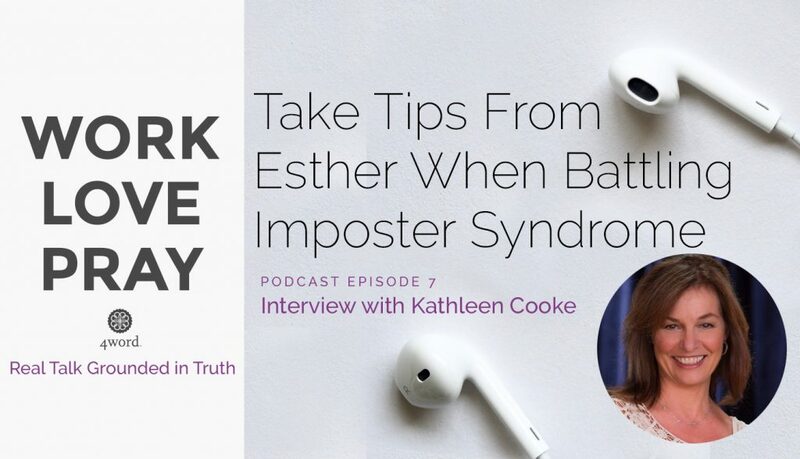 In this episode of Work, Love, Pray, producer, author, and 4word Advisory Board member Kathleen Cooke shares how she has learned to identify and be confident in who she is, and how Esther from the Bible offers some inspiration for overcoming imposter syndrome. Hosted by Jordan Johnstone. Lindsey Stanberry with Refinery29 interviews six female founders to learn their stories about maternity leave and how it shaped the companies they started. Tyler Edwards with Relevant Magazine talks about the apostle Paul’s view of singleness and why we should view this time in our lives as a gift. Trevor Badorrek with The Institute for Faith, Work & Economics shares his advice for teaching ourselves contentment to get us through anything life brings us. 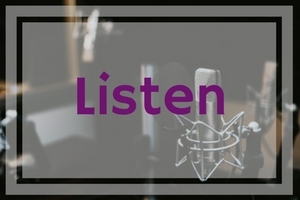 Listen to the latest episode of Mentoring Monday, featuring Donna Carlson! Will you (or someone you know) be in NYC on April 16? Come to this inspirational 4word event! Diane Paddison will be interviewing Mary Coucher, VP of Sales, Systems Channels at IBM, at the Harvard Club of New York City on Tuesday, April 16, at 6:00PM. 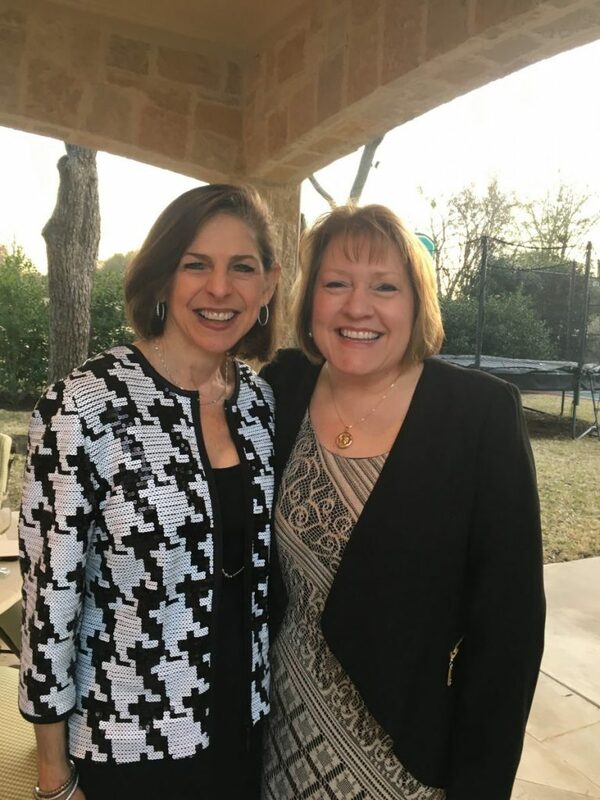 Come enjoy an intimate dinner and hear Mary’s story of incredible professional success, personal heartache, and how her faith helped her navigate her career. It will be an inspirational night for all! Click here to register to attend!